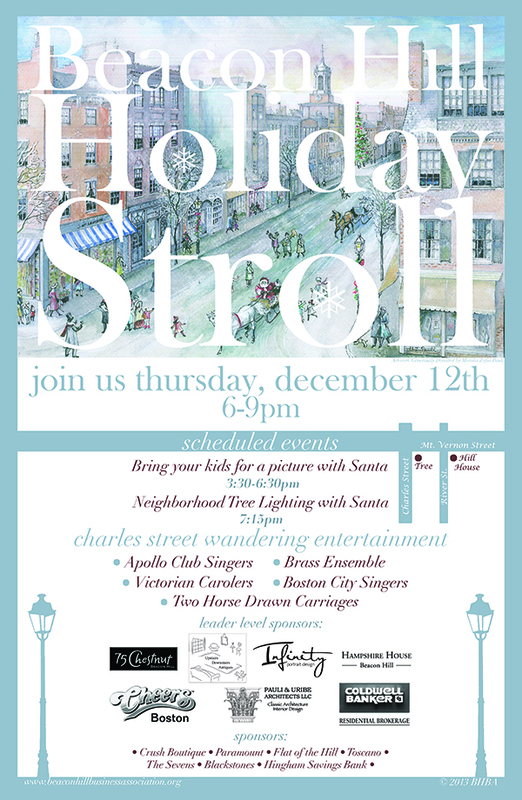 Beacon Hill Holiday Stroll -- This Thursday! Mark your calendars because the Annual Beacon Hill Holiday Stroll is fast approaching! The festive time of year has arrived when Charles Street is decorated and then shuts down for the celebration. Join Sloane Merrill Gallery & all Charles Street business on Thursday, December 12th from 6-9pm as we stay open late to welcome and celebrate the holiday season in style. With seasonal appropriate entertainment, carol your way down the street while stopping to shop and grab a festive beverage as you go!